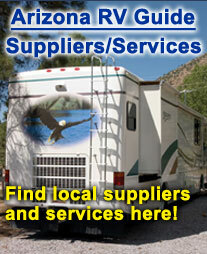 “It is jam packed with current information on all the RV industry in ARIZONA offers RV enthusiasts, whether it be enjoying shorter outings, or out of state RVers exploring unique finds within our grand state,” states Ron Sleight, publisher. The publisher for this proven RV Reference Guide representing the RV industry in Arizona, is pleased with the continued renewal support by long term advertiser/sponsors and interest by new RV parks, services and attractions. The next issue will contain over 350 RV parks/resorts, a directory of RV-related suppliers & services and information on attractions and recreation locations within nine regions in Arizona. In addition to its thorough distribution in Arizona, it was distributed at RV shows and rallies in 25 states and Canada this year. Expanded distribution is planned for this next issue to 30 states and in new display racks at key RV dealer locations and visitor centers in western Canada. Compass Marketing Group, LLC has retained a distribution group in Canada to ensure continuous distribution there for the many interested Canadian snowbirds desiring information on RVing in Arizona.